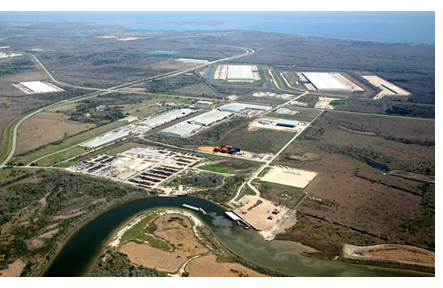 ​​​BAYTOWN - A global plastics distribution company purchased 200 acres in Houston's Cedar Port Distribution Park, the largest master-planned rail- and barge-served industrial park in the nation. Ravago Americas, a subsidiary of Belgium-based Ravago, bought the land from TGS Cedar Port Partners. Ravago Americas will develop a 1.5 million-sf distribution and manufacturing campus on the land. The campus will be equipped to handle more than two billion pounds of plastic resin annually. The campus will be built in the park's Phase two portion, which consists of 750 acres with access to SH 1409 and SH 99. That phase of the park has roughly 400 acres remaining. The park's Phase one portion is completely contracted for development. In addition to Ravago, The Netherlands-based Ikea will have a presence in the park. The global retailer will lease two of the three 500,000-sf rail-served distribution buildings that Clay Development is building in the park. ​Are you distributing? Check out Houston area Market Research for industrial reports​.